HTC M9 is the most powerful model of the HTC series of mobiles which includes excellent features and unique designs. 20 MP camera, 5.00-inch touchscreen display, 1.5GHz octa-core processor, 3GB of RAM, etc. are the advanced features offered by HTC M9, which make this device quite famous among mobile users across the world. But sometimes due to overuse or rough handling of the device, you might encounter some issues with your HTC M9 handset. A tech expert with relevant skills and knowledge can help you in this situation. We at UAE Technician take pride to announce ourselves as the best HTC M9 Repair Service provider in the market in terms of unmatched quality. Our experts are well trained and experienced to solve any HTC M9 related issues by offering you with easy and accurate solutions at a budget-friendly price. Is your HTC M9 handset giving you any of these errors mentioned above? If yes, connect with us immediately via call, email or chat to avail instant help from our skilled experts. We understand the value of your time and thus we offer on-site service as well. You can book an appointment with our expert by choosing a preferable time and location of the visit. Our professionals will provide you with HTC M9 Repair Service at your doorstep without any hassle. We at UAE Technician are expert in fixing all the possible errors that slow down the performance of your HTC M9 within a minimum time and at an affordable price. The services you can avail from our experts are mentioned below. 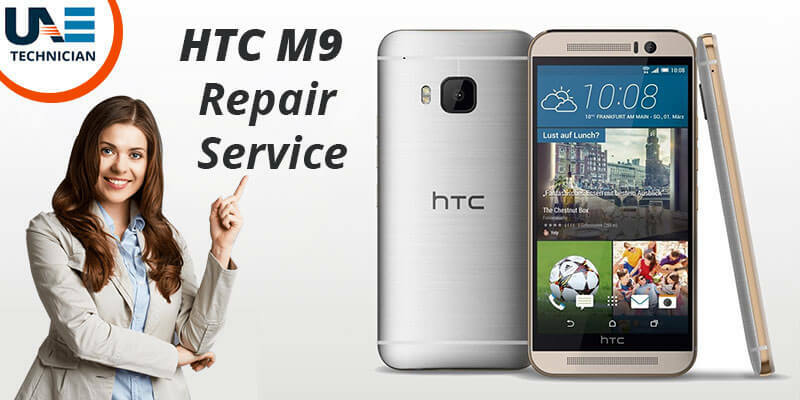 Apart from solving HTC mobile damages, we also provide useful maintenance tips for your HTC M9 handset. Budget-friendly pricing, 24×7 service, free estimates and transparent transactions are the strengths of our class apart repair service. Tired of searching for affordable HTC M9 Repair in Dubai? Connect with us now to avail it within the least possible time. As soon as you encounter an error with your HTC M9 handset, place a call at our helpline number: 042053349 . Share your issues with our experts at UAE Technician to avail best-fitted solutions for your query. You can also drop an email with your additional requirements and receive a reply from our end within the next 24 hours. Live chat is another option through which you can talk to our experts in real-time and avail perfect solutions within a quick span. We also provide HTC M9 Plus repair service in Dubai.